October 28, 2015 - Should You Pay Off Your Mortgage Before Retiring? 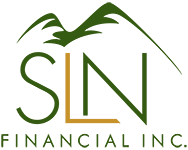 | SLN Financial, Inc.
October 28, 2015 - Should You Pay Off Your Mortgage Before Retiring? If you’re approaching retirement, it might seem logical and comforting to pay off your mortgage before you leave the workforce. No mortgage means one less major bill to pay each month, and you might feel more at ease knowing that you own your house free and clear. However, paying off your mortgage may not be such a great idea if there are better uses for your money. For example, if you have significant amounts of credit card, student loan, or other high-interest debt, you should pay those debts off first. Mortgages typically have lower interest rates and can come with a tax write-off for those who itemize deductions, making the interest rate effectively lower. You could also use the extra money to fatten your retirement savings if you’re not already maxing out contributions to tax-advantaged accounts. You also need emergency savings to help you cover any unexpected expenses in your first years of retirement. This cushion can help reduce the chance that you will have to sell assets in your retirement accounts too soon. However, if your debt situation looks good, you’re comfortable with your retirement savings, and your short-term savings are large enough to see you through some emergencies, you might consider using some of your income to pay off your mortgage early. In most situations, though, it’s not a good idea to tap into long-term savings to pay off the mortgage, especially if the withdrawals would increase your taxable income. Online calculators can help you determine how much you’ll need to add to your monthly payment to pay off your loan before retirement. Though mortgage prepayment penalties are rare, check your mortgage statement for any details. If you do decide to make additional payments, be sure to instruct the mortgage company to apply the extra money directly to the principal. Ultimately, the decision to pay off a mortgage depends entirely on your personal situation and may also come down to psychology. If taking a large monthly bill off the table makes you feel better about your retirement finances, then you should consider it. We strongly recommend that you discuss your situation with a financial expert who can provide personalized advice before making any major decisions. Are there other uses for extra money? Are you likely to be moving in the next decade? Will the house need major improvements or expensive maintenance soon? Might you be better off by setting aside special savings to pay the mortgage for the first years of retirement?